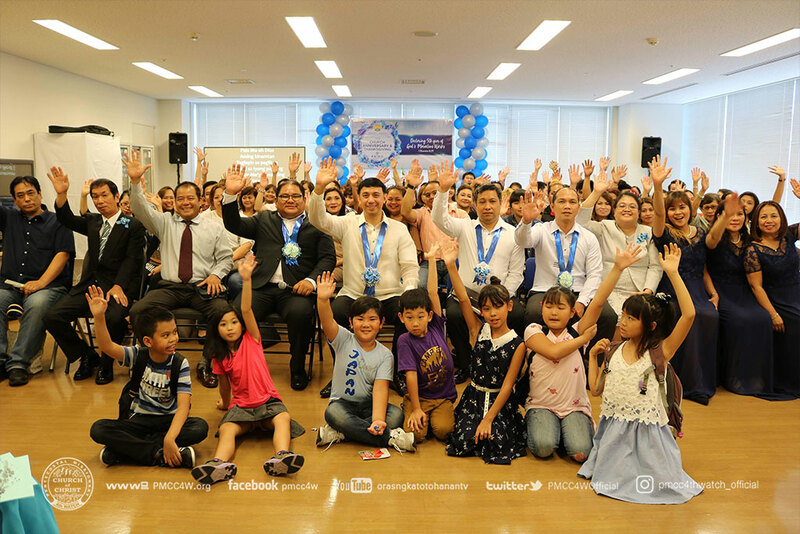 Overwhelming with gratitude, the Pentecostal Missionary Church of Christ (4th watch) Abiko Locale successfully celebrated their 5th Anniversary on August 26, 2018 at Keyaki Plaza, Chiba. 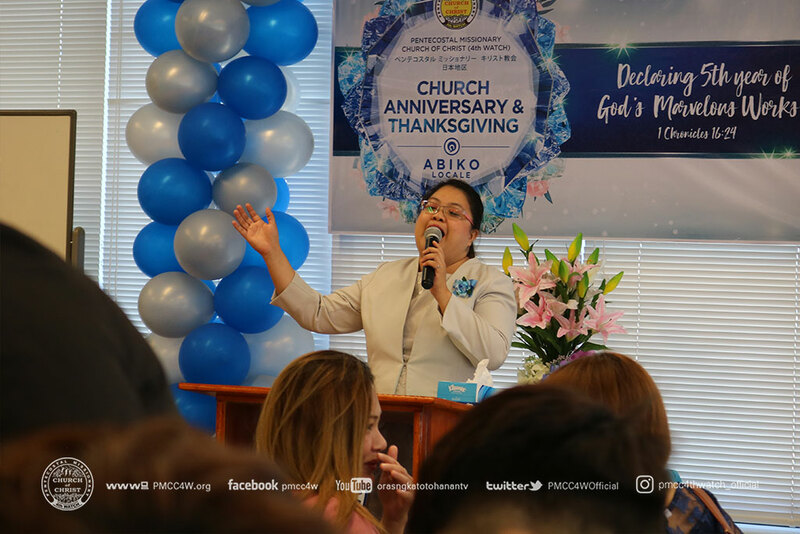 Derived from 1Chronicles 16:24, this year’s theme focused on “Declaring 5 Years of God’s Marvelous Works.”With a multicultural attendance from countries such as Vietnam, Indonesia, Peru and Japan, Abiko Locale proved that God calls His people regardless of nationality. Master of Ceremonies, Sis. Lhara Fulo soulfully led the congregation with songs and hymns praising the name of the Lord for His wonderful deeds in the church. Bro. Mannie Zata of Chiba Locale led the Opening Prayer followed by an energetic dance performance by the Abiko Cadets. Bro. 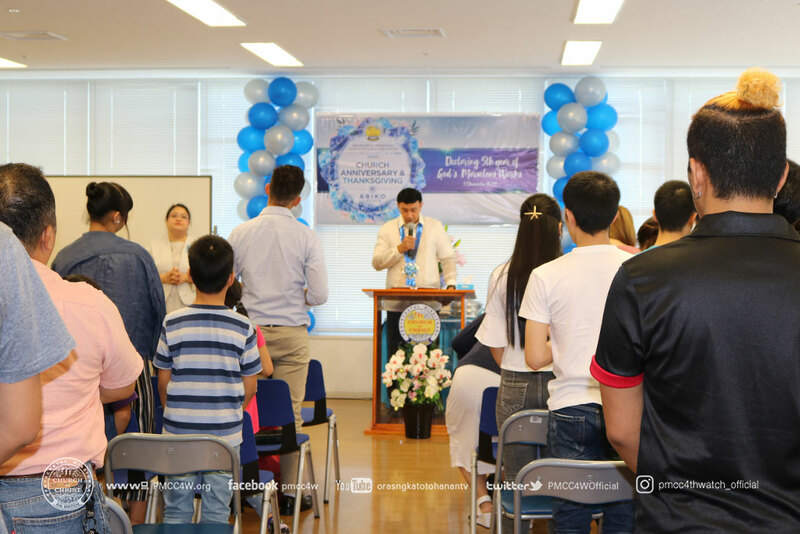 Jeff Fulo, the Head Pastor of Abiko Locale warmly welcomed the attendees to the glorious gathering. A Song of Praise was lifted unto the Lord by the Kawan of Joy followed by the Reading of the Scriptures by Bro. Jeff Fulo. Thereafter, another Song of Praise was rendered unto God by the Kawan of Faith. In his Offertory Message, Ptr. 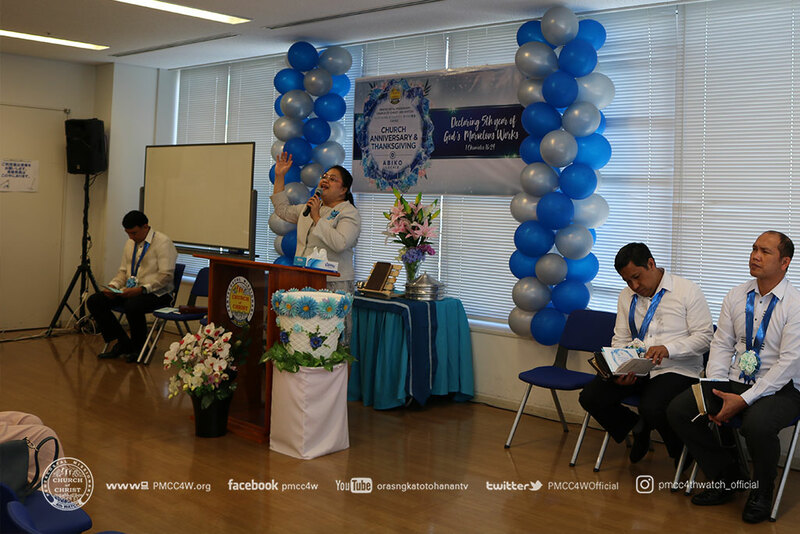 Vic Fuerte of Saitama Locale dwelled on “Declaring God’s Work through Generous Offering and Thanksgiving”. He also emphasized that the End-Time Church has a living Apostle who faithfully administers our tithes and offering. 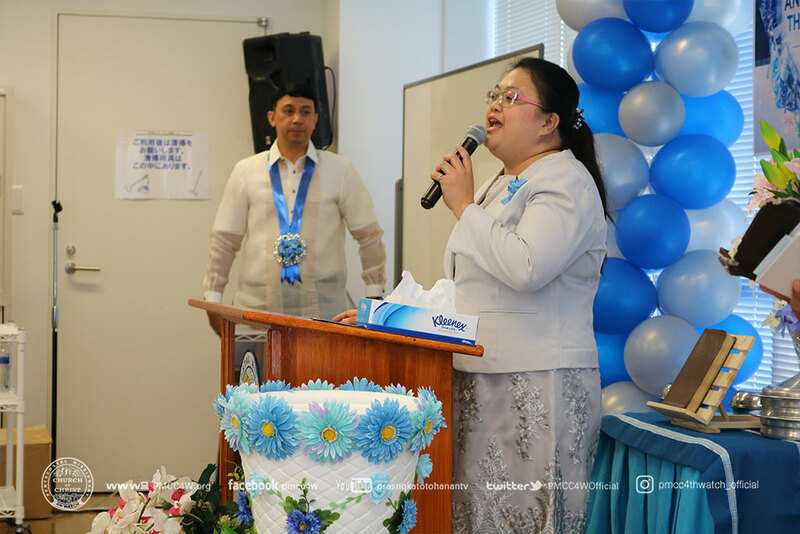 His unwavering ministry has led to the establishment of various churches and buildings not only in the Philippines but across the globe. The Abiko Choir then lifted the name of the Lord with a Song of Adoration. Subsequently, Bro. Jeff Fulo officially introduced the event’s Keynote Speaker, Ptr. Jojo Cruz of Hamura Locale. In his message, Ptr. 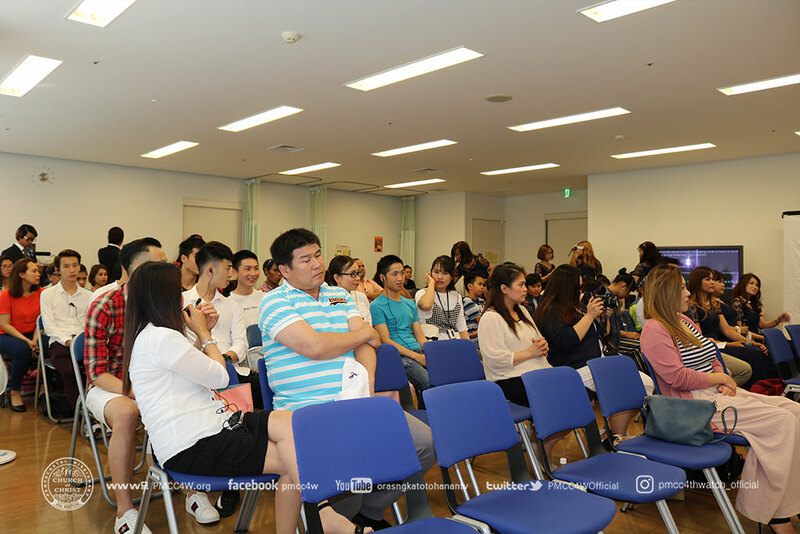 Jojo shared “The Reasons Why We Should Declare God’s Work.” He elaborated on God’s wonderful creation, conscientious calling of His servants and His magnificent gift of salvation. Deeply touched by the words of God, several guests responded in the Altar Call.